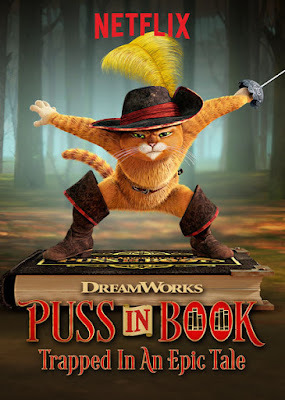 After tumbling into a magical storybook, Puss in Boots must fight, dance and romance his way through wild adventures as he searches for an escape. While out fighting off ninja pirates, Puss stumbles on a fairy tale book. When he opens it, the adventure begins, as the viewer must choose each outcome, eventually freeing Puss from the book. Puss in Book: Trapped in an Epic Tale!